Kanpur is a historical place which is blanketed with royal and divine tales. The name of Kanpur has a very prominent story to narrate from Mahabharata. It is believed that Duryodhana gifted this land to Karna for his bravery when compared to Arjuna. The land came to be known as Karnapur and along with the passing of time, it came be known as Kanpur. 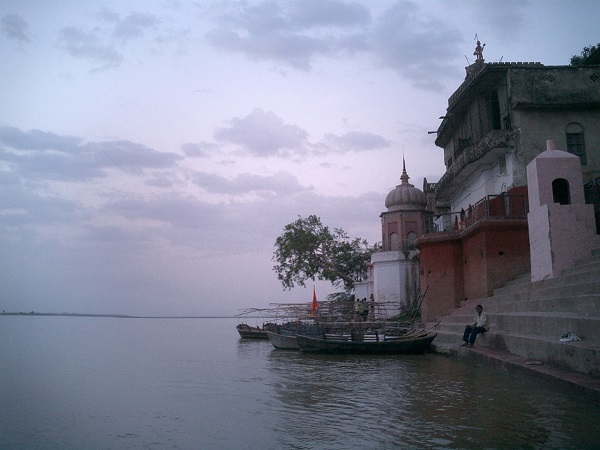 It is also said that the place was known as Kanhaiyapur in honour of Lord Krishna and was later called by the name Kanpur, which is the biggest city in Uttar Pradesh. At present, the region is developing gradually and making its mark by transforming itself to an industrial hub along with various educational institutions. The leather and cotton products are one the most preferred goods that are available in Kanpur. Kanpur is also the birthplace of the recently sworn in 14th President of India, Ram Nath Kovind. The place experiences a humid subtropical climate. The best time to visit Kanpur is from October to March, as the weather is extremely pleasing which is perfect for sightseeing and other tourist activities. By Air: The Kanpur Airport, which was recently renamed as Ganesh Shanker Vidhyarthi Airport, is the major airport here which operates regular flights to major cities across the country such as Delhi, Bengaluru, Mumbai, etc. By Train: Kanpur Central is the major railway station here. The station receives trains from most of the major towns and cities across the state and to quite a number of them across the country. By Road: One of the best ways to reach the town of Kanpur is by road, as the place is well connected by roads and offers excellent connectivity to major cities across the state of Uttar Pradesh and has regular bus services from a number of cities across the state and country. Ganesh Shankar Vidyarthi Udyan or Phool Bagh is an urban city park in Kanpur city. It has been the location for many public meetings and political rallies in Kanpur from the early twentieth century. During the reign of Queen Victoria in Britain, the park was named as the Queen Victoria Garden. Considered to be a unique blend of ancient and modern architecture, the mandapas in this temple have been constructed with a high roof for adequate ventilation of light and air. The temple is also known as Radhakrishan Temple and was constructed by the J K Trust in the year 1960. Among the five shrines that the temple has, the central one is consecrated to Shri Radhakrishna and the other are adorned with idols of Laxminarayan, Ardhanarishwar, Narmadeshwar and Hanuman. The Kanpur Memorial Church, originally called the All Souls' Cathedral, is a church in Kanpur. It was built in 1875 in honour of the British who lost their lives during the Siege of Cawnpore, which took place in the year 1857. The complete church in Lombardic Gothic style is attractively executed in bright red bricks with polychrome dressings. To the east of the church is the Memorial Garden which can be approached through two gateways. It has a handsomely carved Gothic screen designed by Henry Yule. Built during the British Raj, today along with Kamala Retreat and Moti Park, Moti Jheel is an important recreational place in the bustling industrial city of Kanpur, once known as the "Manchester of the East". The rectangular lake was originally developed during the British rule, as a drinking water reservoir of the Kanpur Waterworks, and called Septic Tank. Later, as an important urban planning measure by the city administration, it was developed as a public place and a recreational area, with a landscaped garden and a children's park.